So 3 years old is a bit too early to be learning that the sum of all forces must equal zero, but that doesn’t mean your little toddlers can’t enjoy their very own engineering toys. 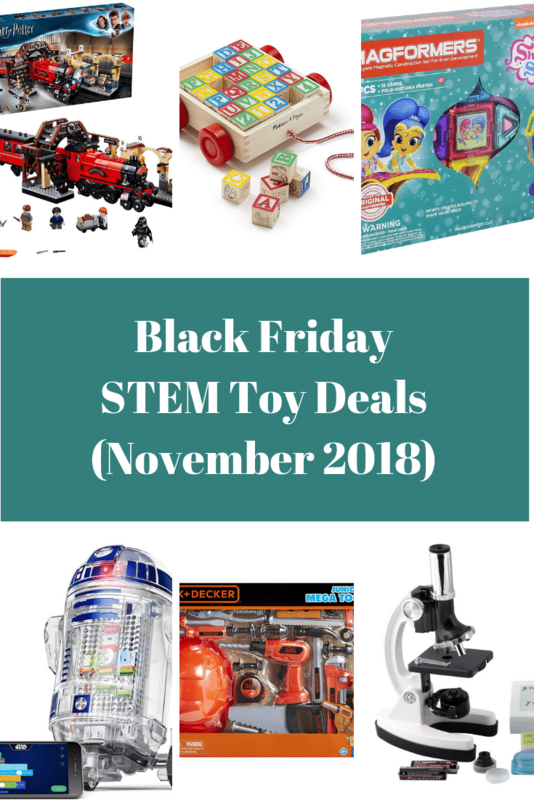 On this site we have already highlighted some of the best types of STEM toys for toddlers but in this post I am going to focus on engineering-specific toys; or highlight how toys not always advertised as a STEM-focused toy use engineering concepts. It’s also important to keep in mind that anything you do with your kid can be an opportunity to help them think like an engineer: identify a problem and help your 3-year old start honing her or his problem solving skills. I’ve already written about my daughter’s Design & Drill set and thought it deserved a spot on this list. Much of engineering is learning how to manipulate simple tools in order to create something. And Design & Drill helps your little one begin learning the basics. I don’t think enough can be said about how great magnetic building toys are for helping young children learn fine motor skills, building basics, and problem solving. Not too mention that many of the same advantages of block toys apply to magnetic building toys like Magformers. Or you can combine the two and go for Tegu blocks. 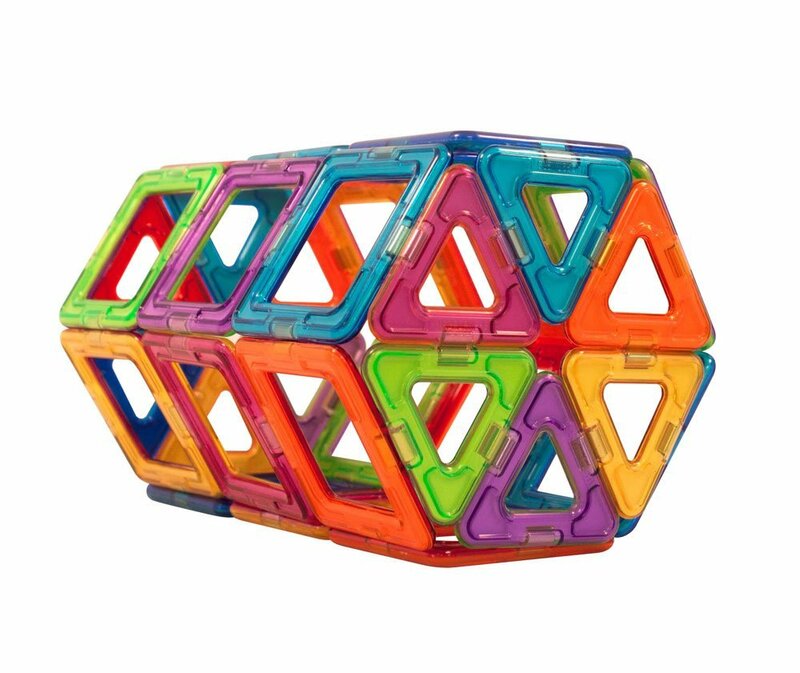 There are several varieties of magnetic building toys currently on the market, but my daughter is a big fan of Magformers. And as parents we are, too! For younger children (2-3 years old), I find the open middle to be much easier for them to manipulate. And the openness added extra dimensions of playability as my daughter would often want to put things in the “house” that she built. Or, we were able to easily add a light–created with Snap Circuits–to her Magformers to create a lighthouse. 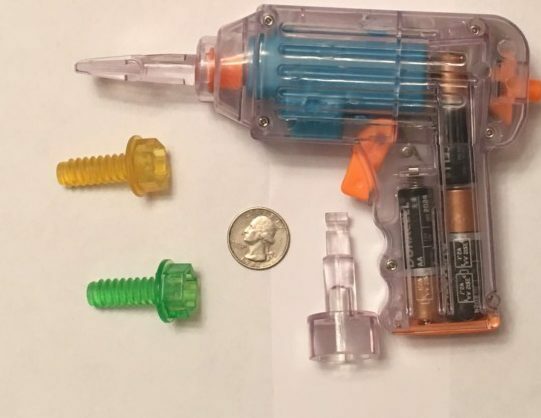 None of this is intended to be down on Magnatiles or other solid magnetic toys. I think any of them are great additions to a STEM toy collection. Nothing quite screams mechanical engineering like gears! And no one does gear toys quite like Learning Resources. Gear toys are an obvious inclusion in any burgeoning engineer’s toy box, just as they have been the go-to machine for transmitting motion for centuries. Gear toys like those produced by Learning Resources make it easy for young children to begin learning the basic concept of how interlocking parts can affect each other. By combining each individual component, toddlers are able to quickly see the impact that each piece has in the overall system they are creating. And the way the Gears! pieces and sets are designed makes it simple for little ones to connect. I recently included Goldiblox on my list of suggested STEM kits for kindergarteners. But to be honest it belongs here, too. 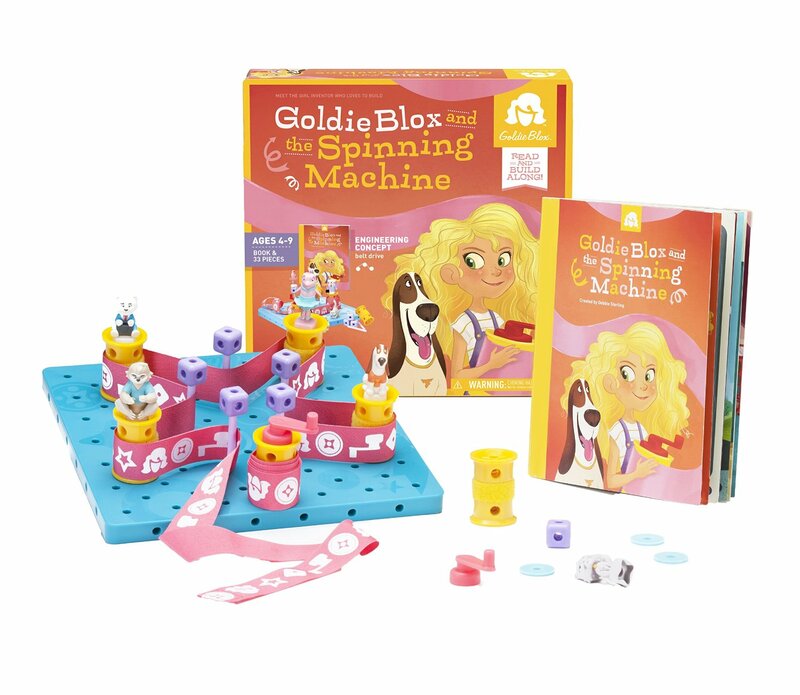 Goldiblox are advertised for children 4 years and older (depending on the specific set, some are listed older). Despite that, my wife and I had no concerns giving our daughter several Goldiblox sets to interact with when she was 3. That said, if your child still has a tendency to place objects in his/her mouth, then you may want to careful as there are some smaller parts (just under the size of a penny). Given the marketing campaigns around the kits, some may believe Goldiblox are only for girls. And while the founders created them with the intent to be more marketable to girls, Goldiblox are a solid engineering kit for everyone. Play-Doh has been a kid-favorite since being introduced in the late 1950’s. It is a modeling compound that allows kids to make all sorts of arts and crafts projects. Tech Will Save Us transformed the common Play-Doh toy into an electrical engineering (circuits/electricity/conductivity) learning experience. Or in the words of the company’s CEO: it’s conductive dough fun! The basic kit (linked below) provides you the recipe for making your own conductive dough and also gives you lots of fun circuit components (wires, clips, buzzer, lights, and more). You can also order the Electro Dough Plus kit direct from the company, which includes pre-made dough. It is unlikely younger kids will be able to build the circuits themselves but, of course, they can build the creations and then with parental assistance add lights and buzzers to make them even more fun. Robot kits are one of the best ways to introduce children to engineering concepts. 3 years old, though, is a bit early to fully enjoy some of the great robot kits currently available. But the Roboshooter helps familiarize children with robots, simple cause-and-effect via the remote control, and can even provide a projectile shooter for later when your kid(s) want to test the structural integrity of a stack of blocks. Designed for children 3-6 years old, Cubetto teaches children about coding without a screen. Instead, each block functions as a piece of code (e.g., forward, negation, left, etc.) that can be placed on the control board. By doing so, you and/or your child can create instructions (a computer program) for your robot to follow. If you’re looking for something similar, you may also consider checking out Cubelets from Modular Robotics.